In recent years, the traditional way of taking bar inventory using a clipboard has become very outdated. 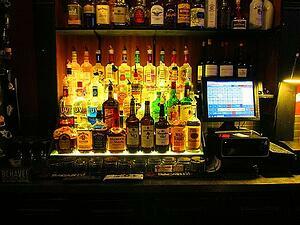 Advances in technology have made more sophisticated bar inventory systems much more effective and affordable. It is common for bars utilizing the old-school clipboard system to experience approximately 20% inventory shrinkage. If your bar suffers from this much shrinkage, you are losing a significant amount of your profits. By working with a more sophisticated bar inventory system such as Bar-i’s, you can reduce your liquor cost by about 3% on average and significantly reduce your level of shrinkage. At Bar-i, we believe strongly that using a clipboard for your inventory is highly ineffective and causes more problems than it solves. Here are 5 reasons why. 1. Using a clipboard yields subjective and inaccurate measurements. The most common method of measurement used when taking bar inventory with a clipboard is the tenthing method. Tenthing involves visually estimating how full a bottle is to the nearest tenth. This measurement is then recorded on your clipboard. Subjective – If two different employees measured the same bottle, it is very likely that they would estimate different levels for the bottle. Inaccurate – This type of measurement is highly reliant on human judgment, making it difficult to receive an accurate reading. Lack of precision – There are approximately 34 ounces in a liter of liquor. If you’re tenthing, your unit of measurement is in 3.4 ounce chunks. However, most servings of liquor are dispensed in 1.5 ounce servings. As a result, it’s difficult to track individual servings of alcohol. To get more effective results from your bar inventory, you need to use a system that is more precise. Unusual bottle shapes are particularly challenging to measure – When you are taking inventory of an oddly shaped bottle such as Crown Royal, it becomes much harder to estimate the quantity of liquor in the bottle. Bar-i’s system accurately measures bottles to 1/20 of an ounce. This level of precision allows you to audit individual pours. 2. The order listed on the clipboard doesn’t match the order behind the bar. Products on a clipboard are typically arranged alphabetically, but products in your bar are typically organized by category. This makes the inventory process more time-consuming and significantly increases the chances for error when recording inventory levels on your clipboard. Even if you take the time to arrange the products on the clipboard as they are arranged behind the bar, it is likely that the order of bottles in your storeroom will be different than what is behind the bar. So no matter what you do to try and correct this issue, you will most likely have a complicated inventory process. Bar-i’s liquor inventory software allows you to “map” multiple zones in the bar to increase speed and accuracy. As a result, the order of products on the spreadsheet will match the order of products behind the bar. Also, by creating multiple zones, you can organize your products differently for taking inventory of the bar and for inventory of the storeroom. 3. Using a clipboard doesn’t allow for aggregate counts. This is especially problematic in a big bar where you have multiple wells, several backup bottles behind the bar, and even more backup bottles in the storeroom. Adding inventory totals in multiple areas creates additional opportunities for errors. 4. 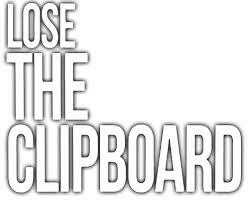 Data must be transferred from the clipboard to Excel. Once you finish taking inventory, you must manually transfer all your data from the clipboard to an Excel spreadsheet. This is a huge waste of time, and it creates additional opportunities for errors. When you use Bar-i’s system, all data is automatically entered onto a spreadsheet as you take inventory in order to streamline the process and reduce your risk of errors. 5. Clipboards only help you measure liquor cost, not product accountability. If all you learn from doing inventory is your liquor cost, you’re not receiving the type of actionable information that will help you improve the performance of your bar. You will never see what’s missing or know which products are underperforming. Most bars are typically missing more alcohol than they think. As we mentioned earlier, many bars using outdated bar inventory systems experience roughly 20% shrinkage. Bar-i will do all of your data analysis for you and send you a detailed report discussing the performance of each individual product sold at your bar. This allows you to identify products which are being given away or over-poured. Ultimately, this will help you significantly reduce your shrinkage and maximize the profitability of your bar. To find out how our liquor inventory system can benefit your bar and help you maximize profits, please contact Bar-i today to schedule a free consultation. 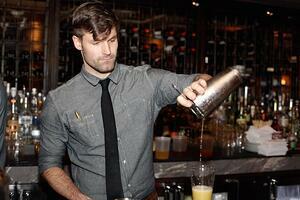 We provide services to bars nationwide from your offices in Denver, Colorado.